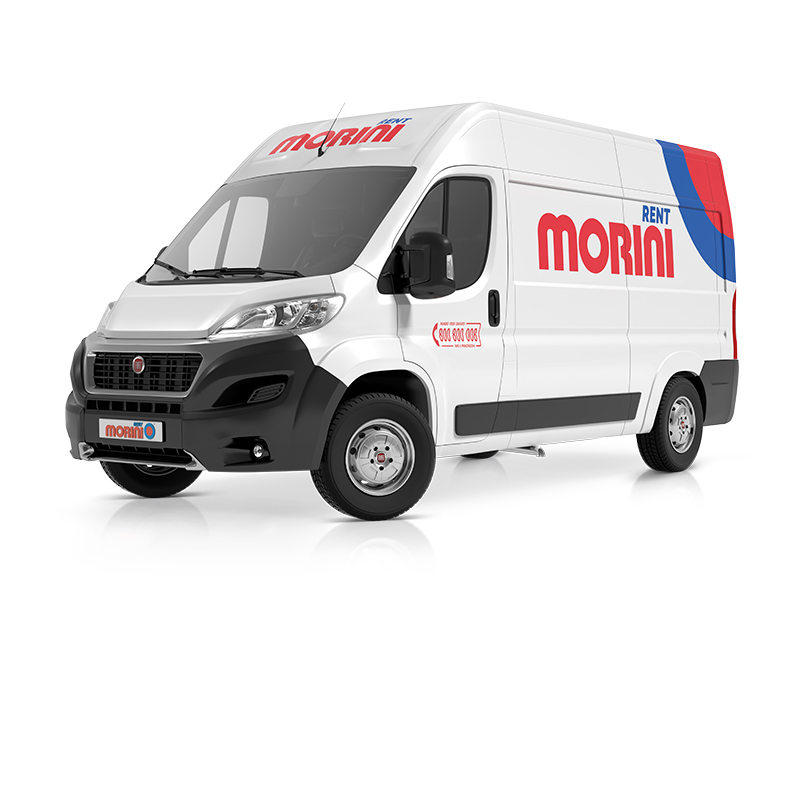 Vehicle rentals by Morini Rent to the Customer are regulated by these General Conditions for Rental, the Rental Agreement, the Rates and the Damages and Penalties Chart and the Privacy Information valid at the time of signing the Rental Agreement. Upon signing the Rental Agreement, the Customer declares to have reviewed and to have fully accepted the General Conditions for Rental and to specifically approve articles: 1. Consigning the vehicle and the start of rental, 2. Vehicle repair and substitute vehicles, 4. Customer responsibilities, 5. Use of the vehicle, 6. Fire, Theft, Damages to the vehicle, 7. In case of accidents, 8. Return of the vehicle and the end of the rental period, 9. Rental fees, 10. Payment by credit card, 11. Responsibilities of the Customer and of the Lessor, 12. Applicable Law and Jurisdiction, 13. Modifications to the General Conditions, 14. Customer domicile and customer communications. 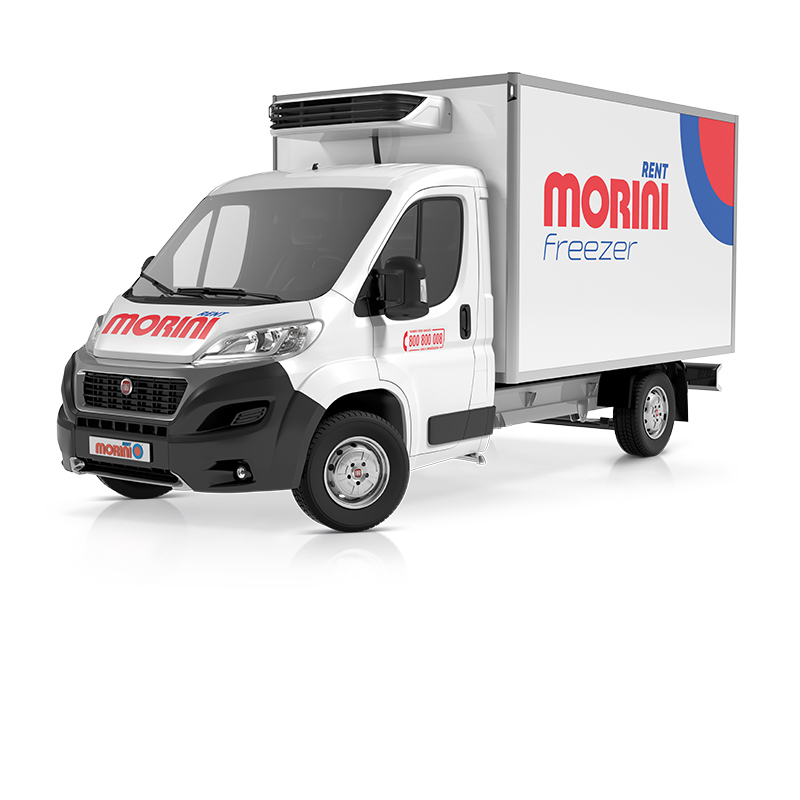 The rental begins when Morini Rent or its affiliate (hereinafter referred to as the “Lessor”) consigns the vehicle to the customer. The vehicle is consigned in good condition with an emergency triangle, a spare tire or tire repair kit and all of the documents necessary for motor circulation including a copy of the international green card insurance, the insurance certificate and the insurance slip. Assess dematerialization and certification of documents. The customer shall verify the state of the vehicle and equipment the moment it is consigned jointly with the Lessor’s personnel and specifically verify that the vehicle is functioning perfectly, that it contains all of the equipment indicated in the Rental Agreement and that it does not contain any merchandise or other assets. The customer undertakes to return it in the same state with the exception of normal wear and tear proportional to the rental period duration or the distance travelled. It is the Customer’s responsibility to notify the Lessor’s personnel of anything that differs with what is indicated in the Rental Agreement and jointly acknowledge it with the personnel before picking up the vehicle. In the failure to do so, the Customer authorizes the Lessor to debit any differences found by the personnel in the state of the vehicle at its return compared to the state it was consigned in. The Lessor has the complete discretion to refuse to execute the rental contract with the Customer, particularly in cases of allegations for theft, damages or accidents in prior rentals. In the case of an accident, breakdown and/or the need to tow the vehicle, the Customer is required to contact the number listed on the documentation inside the vehicle. The affiliated Toll-Free number (Numero Verde) is the sole subject authorized to perform service and/or repairs on the vehicle. Any service and/or repairs carried out on the vehicle by the Customer without authorization by the Lessor and/or at non-affiliated centers shall not be reimbursed in any way or for any reason. If the Customer requests a substitute vehicle, the Lessor reserves the right to decide at its discretion whether to supply the vehicle or not based on the availability of cars at the location at the time the Customer makes the request. The Lessor guarantees that a civil liability (RCA) insurance policy has been stipulated to protect the Customer and any other person authorized to drive the car against civil liability with the limit and minimum liability coverage required by law and current regulations. There is a copy of the policy which conforms to the legal requirements available at the following link The policy does not cover any damages to the driver – Assess whether to include PAI payment – or liability for damages to things and animals in the car nor does it cover damages due to the failure to notice street signs mentioning obstacles and/or danger or any damages due to failure to follow the law or regulations. The policy covers the driver’s civil liability for damages to third parties on board, if said persons are not members of the Customer or driver’s family, as is specified in the Summary of the Insurance Conditions which apply to all vehicles rented by the Lessor. In the case of accidents caused by the fault of the Customer which involve third-parties, regardless of the damages to the rented vehicle (which, if sustained, shall be charged as listed on the Damages and Penalties Chart), Morini Rent shall charge the Customer for administrative fees for handling the accident claims (as per the Damages and Penalties Chart) over and above the ulterior sum which was charged to Morini Rent by the vehicle manufacturer for a deductible which is non-eliminable. f) comply with the laws regarding the transportation of merchandise and assume any responsibility for the required delivery notes. During the winter season according to special dispositions issued by the Authorities, certain areas of Italy require the use snow tires or having snow chains on board the car. Morini Rent makes snow chains available in areas where said phenomenon occurs and provides the necessary information. The customer should check whether said conditions exist in any areas on their itinerary and comply with said prescriptions by requesting Morini Rent for supplemental snow chains (if the rented car does not already have snow tires) or the Customer may, at his/her full discretion, supply them personally. i) by persons who are younger than 21, without prejudice to any derogation expressly authorized by the Lessor. The Customer is required to reimburse the Lessor for any damages caused for any reason to the vehicle during the rental period, including cases of theft and fire. The Customer is responsible for the cost of repairs, for lost rental revenue which shall be quantified on the basis of the applicable rates chart, for the cost of towing and storage and for the administrative costs sustained in the management of any event or claim which derives from the rental, within the limits of the Damages and Penalty Charts — for the value of the asset in case of theft or fire, Quattroruote Auto or Quattroruote Veicoli Commerciali — which lists values for the cost of materials, the work and the downtime. In case of damages, the Customer is free to pay for the damages as listed on the Chart or to have the vehicle repaired at his/her own expense and responsibility, by informing the Lessor within 5 days after the communication of the charges or the joint assessment of the damages together with the agency personnel. In that case the Customer shall pay for the cost of rental until the vehicle is returned in perfect order to the Lessor and the Lessor reserves the right to accept the repair after inspection of the vehicle jointly with the Customer. The Customer is also required to reimburse the Lessor for damages to the vehicle which occurred due to any failure to observe traffic signals and signs indicating obstacles and/or dangers, damages which are not covered under the obligatory RCA third-party liability policy, as specified in point 3, as well as the costs to repair and/or clean the inside of the vehicle if it is returned at the end of rental with indelible stains and/or burn marks. f) after an accident with a third party, the Customer shall fill out the CID accident report form which must be consigned by the Customer to the Lessor without fail within 24 hours or by the end of the rental period if it coincides. If the Customer has not caused or been involved in any accident, the Customer must communicate that fact when the vehicle is returned to the Lessor so that the Lessor may protect itself against fraud or unfounded claims. If the Customer fails to report an accident, even if the Customer did not cause it, he/she accepts to pay the penalty outlined in the Damages and Penalties Chart, and also those related to organizational inconveniences and increased insurance costs which fall to the Lessor following the omission of said information by the Customer. The Customer shall return the vehicle to the Lessor’s facility by the agreed date, or before said date if expressly requested by the Lessor. The Customer may extend the return date by requesting to do so at least 24 hours before the end of envisaged expiration and only with the Lessor’s consent. If the vehicle is not returned within the set terms, the Customer is required to pay the Lessor the extra estimated fee listed in the rental agreement for each late day, as well as all of the fees envisaged in these General Conditions for Rental, the Rates and the Damages and Penalties Chart up until such time as the vehicle is returned to the Lessor. The customer shall reimburse the Lessor for any expenses sustained to recuperate the vehicle up to the moment of its delivery. The rental ends at the moment in which the vehicle is delivered to the Lessor at the facilities and the Lessor and Customer jointly verify the condition in which the vehicle has been returned. The vehicle must be returned at the time listed on the rental Agreement and in any case during agency working hours. Only with authorization from the Lessor, the Customer may return the vehicle during agency closing hours at the return points communicated in advance by the Lessor and place the keys in the key return box. If the vehicle is returned during closing hours, as regards the attribution of liability deriving from possession of the vehicle, the rental is considered to end when the agency opens only if the vehicle is actually received by the personnel. The Customer is responsible for all of the damages (including damages to the vehicle, tickets, theft, fires, etc.) affecting or caused by the vehicle until it is actually received by the agency, which shall take place at the time of opening to the public. When the agency reopens, the Lessor’s personnel shall verify the condition in which the vehicle was returned and if there are any differences in its condition compared to the beginning of rental (damages, stains etc. ), within 24 hours after the reopening of the agency, the Lessor shall send a letter to the address indicated by the customer at the moment of rental reporting the damage found and including photographs and the estimate for the charges according to the Damages and Penalties Chart. If there are damages, the Customer shall also be informed that the fees, if disputed shall be charged 5 days after the communication is sent and that within said time, if the Customer does not retain the charges to be justified, he/she may dispute them or communicate the intention to repair the vehicle at his/her own expense as per article 6 above. p) the sums due for any other services which the Customer used or which were purchased at the moment of rental. The kilometer rate is determined on the basis of the odometer. The Customer is required to periodically check that the odometer is functioning and for immediately informing the Lessor if it is not functioning perfectly and in such case for following the instructions given by the Lessor. If at the moment of return, the odometer appears to have been tampered with or broken, the rate for unlimited kilometers will be applied. Any time, in which the rate must be multiplied by a number of days, the term “day” is 24 hours from the moment in which the vehicle was consigned to the customer, unless the rate designates it differently. In reference to the Fuel provision, the Rental Agreement contains a specific indication of the amount of fuel present at the time of rental and therefore also the amount that the tank must contain when it is returned (which is equal to the amount present at the beginning of rental) as well as the corresponding estimate, calculated statistically (and updated periodically) on the basis of the rates at the fuel stations near the agency. The Customer is therefore free to decide whether to refuel before returning the vehicle (so that the tank contains the amount of fuel indicated) or to directly pay the agency for the cost of refueling as calculated. No administrative fees or penalties will be charged to the customer over and above the cost of the estimated fuel calculation. However the Customer will not be reimbursed for any extra fuel in the vehicle at the moment the vehicle is returned. At the moment of rental, the Customer must provide a valid credit card which will be used to debit all of the fees deriving from the rental, unless the Lessor expressly authorizes the rental without a credit card. The Lessor may in any case at its own discretion refuse to rent the vehicle to the Customer. The Customer provides the credit card information and authorizes the Lessor to charge the respective sums due following the rental and shall accept the charges on the credit card even if charges are made after the contract is finished and also for damage fees, fines, toll road fees, parking fees, administrative fees, expenses to repair the vehicle following damages which are not covered by the insurance policy, costs to repair and/or clean the vehicle interior if it is returned at the end of the rental period with stains and/or burns, costs for disposing of objects left in the vehicle by the Customer and all of the other rental fees indicated at point 9. For rentals which are longer than 30 days, payment of the rental fees shall be made in advance and the charge will be made every 30 days until the end of rental. On monthly or multi-monthly rentals which are guaranteed by credit card, the payment for the rental must take place within 5 days after renewal and the failure to do so will require the Customer to immediately return the vehicle and the Lessor may repossess the vehicle; the Customer shall be required to repay the Lessor for any expenses sustained while doing so, without prejudice to any sums due for the rental as per the Rates and the amounts due on the basis of the Damages and Penalty Chart. The Customer who signs the Rental Agreement is responsible for all of the obligations envisaged as well as all of the actions and/or omissions of anyone who drives the vehicle. The Customer is also responsible for all of the damages to the vehicle during the rental period, for all of the expenses the Lessor incurs as a result of the rental (such as tickets, fines during the rental period, damages caused to third parties during the rental period, etc.). In the case of late return or failure to return the vehicle, and according to the specific provisions stated on the Rates and the Damages and Penalties Chart. The Customer may choose to partially limit the liability on the rental of vans/ trucks or to cancel it completely for the rental of cars for each of the events listed above by purchasing an additional agreed limit of responsibility, which is not insurance, according to the provision on the Rates and in the Damages and Penalties Chart. In any case, even if said limit of responsibility is purchased, it is not valid in cases of gross negligence or the Customers’ failure to abide by these General Rental Conditions and legal obligations and codes. Any limitation or exclusion of liability is void and ineffective against damages caused voluntarily or due to negligence, due to legal or driving code violations or due to violations of these General Conditions. Any limitation or exclusion of responsibility is invalid for damages “excluded” as per the provisions of the Rates and the Damages and Penalties Chart which by way of example include damages to or theft of tires and/or hubcaps, damages to the roof and the camber of vans/trucks or for damage caused to the clutch assembly. The Lessor is not responsible to the Customer or any other individual for damages of any nature, including economic loss, suffered by persons or assets due to breakdowns or the defective functioning of the vehicle, breakdowns that occur to the vehicle, late consignment or failure to consign, consignment of a different category vehicle than what was reserved, theft, wrecks, riots, fires, earthquakes, wars or force majeure, which legally includes any event that cannot be resisted and is unexpected, extraordinary and independent of the will of the parties and which impedes those same parties from fulfilling their obligations. The Lessor assumes no responsibility for objects found inside the vehicle after the rental and the Customer is responsible in any case for all of the costs for the disposal of them. The law which is applicable to the rental contract regulated by these General Conditions is Italian law. Any dispute which derives from and/or is connected to the rental of the vehicle, and every action that is necessary to collect the sums due to the Lessor, is exclusively the jurisdiction of the Court of Milan, except for the hypothesis contemplated in article 33, paragraph 2, letter U of the Consumer Code (Legislative Decree 206/2005) in which the Court or legal headquarters of the Consumer is the exclusive jurisdiction. No changes may be made to these General Conditions without written consent by the representative of the Lessor with a special power of attorney. The Customer’s domicile is the address communicated to the Lessor on the Rental Agreement. Except as expressly provided otherwise by the Customer, all contract communications will be sent to the email address indicated by the Customer.